Boca insurance company Seeman Holtz expands through acquisition deals. Boca Insurance Company Seeman Holtz Property & Casualty continued its aggressive expansion in the first part of 2018, with the purchases of two Scottsdale companies and one in Tulsa Oklahoma. 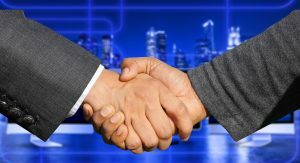 The Boca Insurance company announced in January that it had acquired Xponent Employer Solutions of Scottsdale, Arizona. That company provides such business solutions as Payroll, Employee Benefits, Insurance Services, and Human Resource Management. The acquisition will strengthen the Seeman Holtz family of companies. The Boca insurance company also announced in January that it had acquired Tulsa-based Fifth Avenue Healthcare Services, which has curated relationships with various networks, health plans, hospitals, surgery centers, state/federal agencies, and medical malpractice insurance carriers to get the lowest rates and best plans to their clients. Last week, the Boca insurance company announced another acquisition, that of Scottsdale-based Senior Advisory Group, a national distributer of annuity and life insurance that provides cutting-edge education, marketing and practice management support to help advisors grow their business and address the needs of clients. As part of the Annexus Group, they have exclusive access to industry-leading products and services, empowering their advisors with consumer-focused retirement strategies. Founded by Seeman and Holtz in 1998, the Boca insurance company started with pre- and post-retirement planning service. It has since expanded to include other insurance services such as homeowners and auto and life insurance, among others. In 2017, Seeman Holtz made 24 acquisitions.